We are a unique name in the market to provide our honorable customers an exclusive range of PP and HDPE Granules. We offer for sale of HDPE Red, Green, and Blue Reprocessed granules mesh 40x40 to be used for blow injection molding, Blow Molding etc. It is processed from Natural Milk Jug, without filler. Our organization manufacture, supply and export reliable Black Granules. 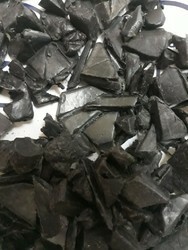 Our Black Granules are good to be used in multiple industries. We use only the best quality raw material to manufacture it. These Black Granules are packaged in a safe material to ensure convenient transportation. Produced in blow moulding , extrusion and Inj grade in natural / black and various separate colours. Used in blow molding containers, HM/HDPE film extrusion, and Injection Moulding. 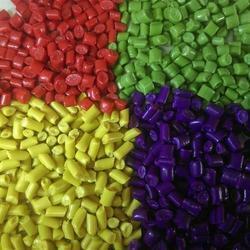 As per the requirements of our clients, we are engaged in providing a high quality range of HDPE Plastic Granules. We are offering optimum grade HDPE/HM Granules. These HDPE granules are processed by our professionals in accordance with the international quality standards. To meet the diverse requirements of patrons, we are offering these HDPE granules in various sizes and colors. our supply capacity is more than 150 ton per month of H.D.P.E. granules. we have in range of usd 1.15 $ to 1.55 $ per kg . if you have any requirement about sample or inquiry feel free to contact me.